A 37-year old man who sold CDs outside a North Foster Drive convenience store was shot and killed by a Baton Rouge police officer Tuesday morning after “some type of altercation” with two officers, officials said. The incident was captured on video. Advocate staff photo by HILARY SCHEINUK -- People gather in protest outside of the Triple S Food Mart on N. Foster at Fairfields Avenue, Tuesday, July 5, 2016, after the officer-involved fatal shooting of Alton Sterling in Baton Rouge, La. Advocate staff photo by TRAVIS SPRADLING -- Sandra Sterling, an aunt who raised Alton Sterling after his mother died, speaks on the phone, while family and friends of his protest on the corner of Fairfields Ave. and North Foster Drive Tuesday afternoon, July 5, 2016, after Sterling, 37, was fatally shot in an altercation with Baton Rouge Police just after midnight on Tuesday, in the parking lot of the Triple S Food Store at that location. Advocate staff photo by TRAVIS SPRADLING -- A bear, CD's and sign reading 'RIP Big Alton' rest outside the Triple S Food Store, as family and friends of Alton Sterling protest on the corner of Fairfields Ave. and North Foster Drive Tuesday afternoon, July 5, 2016. Sterling, 37,known as the 'CD Man,' was fatally shot in an altercation with Baton Rouge Police just after midnight on Tuesday, in the parking lot of the store. Advocate staff photo by TRAVIS SPRADLING -- David Solomon, 60, left, and Calvin Wilson, 56, right, say they lived with Alton Sterling at the Living Waters Outreach Ministry Drop-In Center, and don't believe he carried a gun. Sterling was fatally shot during an altercation with Baton Rouge Police in the early morning hours of Tuesday, July 5, 2016, outside the Triple S Food Store on North Foster Drive. Advocate staff photo by TRAVIS SPRADLING -- Scene where shooting happened at Triple S Food Store on North Foster Drive, where a man was fatally shot during an altercation with Baton Rouge Police in the early morning hours of Tuesday, July 5, 2016. 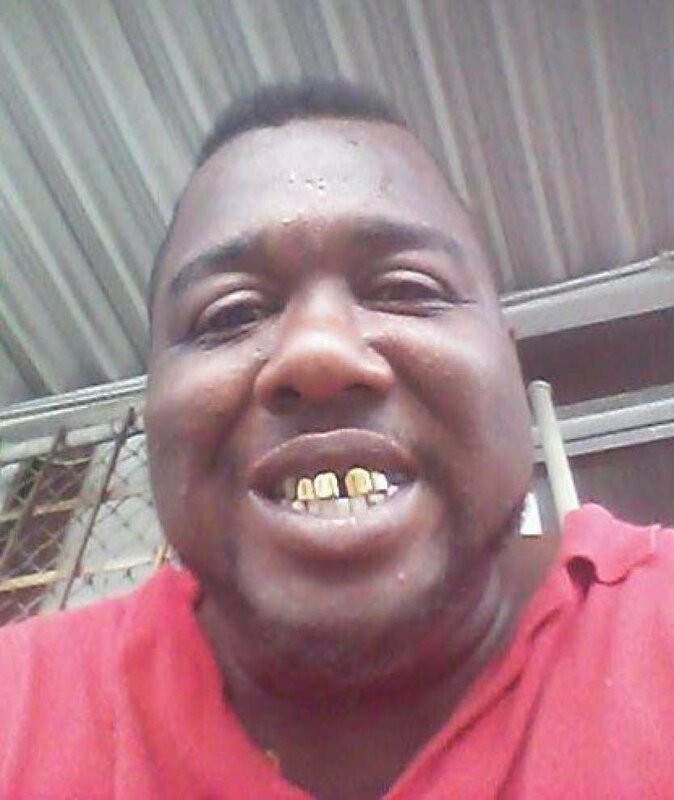 Alton Sterling, a 37-year old man who sold CDs, was shot and killed by a Baton Rouge police officer Tuesday morning outside a convenience store on North Foster Drive after “some type of altercation” with two officers, officials said. East Baton Rouge Parish Coroner William “Beau” Clark said the initial results of an autopsy performed Tuesday show Sterling died due to a homicide and suffered multiple — meaning more than two — gunshot wounds to the chest and back. A 48-second cellphone video captured by a bystander — which circulated at a protest about the shooting later in the day — shows an officer firing at least one round into a man’s chest outside what appears to be the Triple S store, followed by the sound of at least four more shots as the camera veers away. “Get on the ground! Get on the ground!” an officer is heard yelling in the beginning of the clip. Two officers are seen wrangling a heavy-set man in a red shirt against a silver sedan before pulling him to the ground on his back. One officer is seen pulling the man’s left arm down while he pressed down on the man’s chest. The man’s right arm is not visible in the video. “You f*****g move, I swear to God,” says an officer, before the second officer, farther from the viewer, is seen pointing a weapon down at the man’s chest. There’s a flash from that officer’s weapon, accompanied by the sound of shots. “They shot him?” a man’s harried voice, close to the microphone, says in the video. “Yes!” a weeping woman replies. Warning: This video contains graphic footage of the shooting. Not seeing the video? Click here. An eclectic field of six candidates is seeking to fill the Metro Council seat being vacated by John Delgado.